About Us | Hayes Manufacturing, Inc. 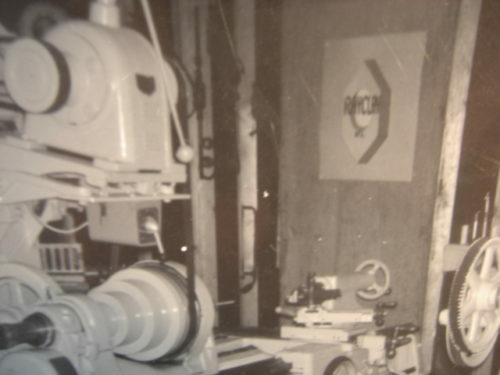 In 1966, Ray and Betty Hayes (along with Ray’s brother Clay) opened a machine shop called RayClay Manufacturing in a small garage in Rochester, Michigan. They started out working part-time while maintaining other jobs. Clay was with the business a few months before deciding to leave the business to focus on his full-time job at Chrysler. Ray and Betty continued to build the business as a “job-shop” (manufacturing for hire) until it eventually became a full-time endeavor. Soon, they were busy enough that their sons, Jeff and Jim, would come on board to help them keep up with the demands of the growing company. 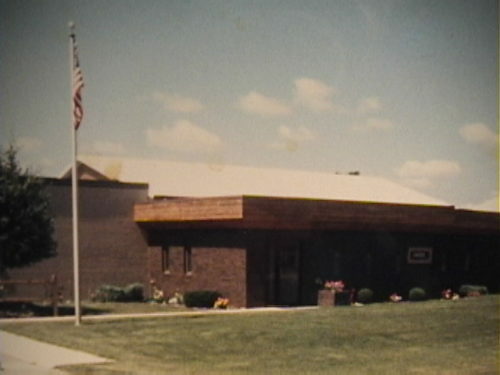 In 1973, Ray and Betty sold Rayclay Manufacturing to Jeff and Jim and they moved the business north to Manton, Michigan and reopened as Hayes Manufacturing, Inc. The brothers dug the footings for their new building in anticipation of the official opening in June of 1973. They hired a couple of employees and Jim focused on shop production and efficiency while Jeff worked the phones to find new business to grow the company. Jeff’s wife, Carol, ran all aspects of the office until Jim’s wife, Marilyn, came on board in 1978 to help out with customer service. During the years from 1973 to 1981, the business focused on job-shop work and built a loyal clientele. However, it was difficult to predict (or control) the ups and downs that are typical of this type of work. In 1981, business was slow and Jeff was making “cold calls” (on his Mickey Mouse phone) to look for work from a steel supplier’scustomer list. One of the few people to take his call was Mr. Wilde of Wilde Manufacturing. He did not have any “part” work but he mentioned that he was having trouble with a shaft coupling on a pickle harvester. He wondered if Jeff knew of a coupling manufacturer that made a better product. Jeff asked Mr. Wilde to send him the coupling and the brother’s went to work on a new and improved coupling design. Six months later, Wilde Manufacturing placed a purchase order for 500 couplings. The Hayes Family was in the coupling business! Inspired by the success of their first original product, Jim and Jeff suspected there were other opportunities in the area of power transmission products. They set about designing and manufacturing flywheel couplings, shaft-to-shaft couplings, engine housings, pump mount plates, splined adapters and bearing-supported stub shafts. It was at this point that Hayes Manufacturing fully transitioned from being a shop-for-hire to exclusively manufacturing the Hayes power transmission product line. As the 1980’s came to a close, the business had grown out of the small shop in Manton. In the fall of 1990, the business moved to a new plant situated on 29 acres in Fife Lake, Michigan. The family invested in state-of-the art machinery to meet increasing production requirements. The new production capabilities, along with specialized engineering services, allowed Hayes to serve as a “one-stop shopping” destination for customers. During the 1990’s and into the 2000’s, there were more expansions to the plant, the product-line, and expansions to the family as well. In the office, it was not uncommon to find a baby on someone’s hip and a puppy underfoot. Two of Jeff and Carol’s daughters and Jim and Marilyn’s daughter came to work for the company. Betty Hayes worked for many years in the shipping department and then transitioned to her role as coffee preparer, cookie-maker and Chief Cheerleader until she passed away in 2010. 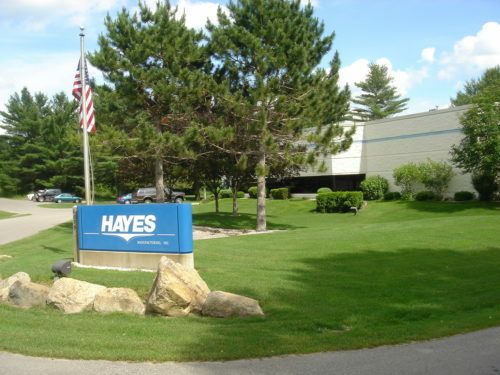 On January 1st 2012, the ownership of Hayes Manufacturing transitioned from the 2nd generation to the 3rd. 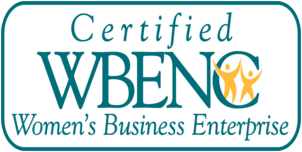 The new owners are Holly Miller, Marie McDougall, Penny Challender, Michael Lawson and Sam Runkel. We are lucky to have Jeff, Carol, Jim and Marilyn cheering on our successes. On most days, you can still find them here, offering guidance and helping out wherever they are needed. The evolution of Hayes Manufacturing from a small garage to a modern, thriving manufacturing company is nothing short of an American success story. We are proud and honored to carry on the tradition of excellence that Hayes Manufacturing has become known for.